When your Daddy gets home he is going to be very cross if you haven’t eaten your dinner! Along the scale of desperation, how desperate do you have to be to resort to that one…? Needless to say, it didn’t have any effect whatsoever. I am a firm believer that it is not just the children who have a witching hour at 5pm. Adults are most certainly included! In my house anyway. At 5pm I am spent. I’m over it. I’m tired, I’m hot, I’m usually covered in some sort of sticky substance and generally feeling just a bit damp. I don’t want to read books or tell stories or play doctors or wave rainbow scarves in the air. I want to stamp my feet then curl up in amongst the mess and have someone stroke my forehead. Or even just sing to me. In a soft voice. As it happens, Birdie wants it all at 5pm. Our conversations become fruitless, and we start to push each others’ buttons. I want my Dad not you! This was staggered with many glances out the window to see if Prince Charming was rolling in on his bike. Imagining him out in the fresh air pedalling home from work, the breeze in his face and a smile on his lips, high-fiving the passers by and singing Oh What A Lovely Day. He assures me this is not his side of the story, but I think he’s holding back. This morning, we are all roses and sunshine again. Hugs and double-cuddles and good mornings. Do you sometimes think that if bedtime was just one hour earlier you’d make it through alive? These were the wise words given to me by my two year old when I was muttering to myself in traffic today. Your first baby is such a delicate little treasure. You inch your way around them when they are on the floor, gingerly pass them to your husband. You cradle their floppy little heads and support their necks and watch on with anxious eyes as other people hold them the wrong way. You softly wipe their faces and bottoms with the gentlest touch. You don’t listen to loud music and avoid the television when they are around. Enter: second baby. They are thrown this way and that, dummies hurled into their mouths, things waved in their faces, grabbed out of harms way at a moment’s notice as a toddler hurtles towards them. They are poked and prodded by chubby fingers and asked, “Do you like this? Do you like THIS?” Poke, prod, shove. They are in the car and out of the car, listening to toddler tunes and shrieks and stomps. can you play with me, mama? If I got a dollar for every time I was asked, “Can you play with me, Mama?” by a certain 2 year old, I would be one very rich lady. Trying to gather some activity inspiration, especially for those times when I am physically bound up with the baby or just exhausted, I asked some of my mama friends yesterday what types of activities they are doing at home with their toddlers. 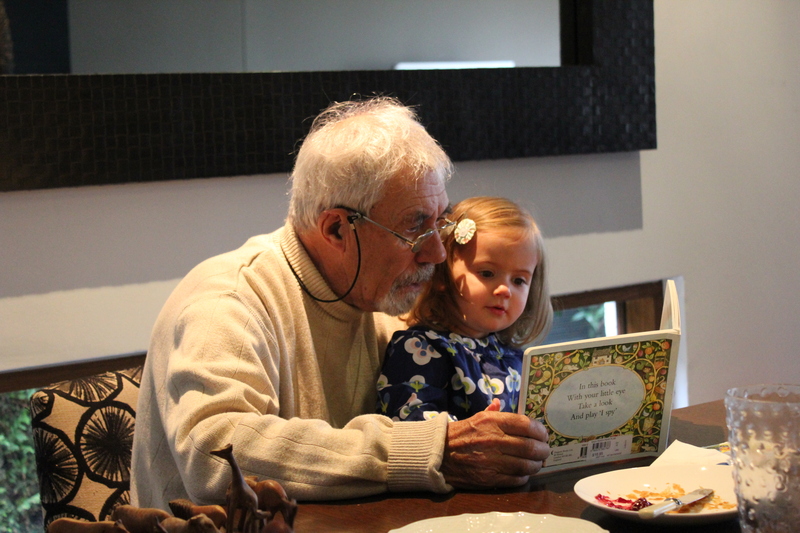 I wondered if I should be doing more beyond the endless books, puzzles, pasting and drawing to entertain her and provide her with structured things to do. We were TV-free until she was about 2, which was a lot easier when there was only one kid! Now we watch a bit of telly, often just so I can have a rest, but I hate relying on it too much. Turns out, the other girls seem to be doing much the same as me, with the main structured activities including drawing, books and so on, but, like us, it’s the incidental things that happen in day to day life at home providing the most entertainment – folding the washing, helping to wipe down surfaces, feeding the dogs and the bunny, sweeping with the dustpan and brush while mummy has the broom, and so on. I love the independence of the toddler age, it’s so great to slowly watch the big girl become more able to do things on her own, to have conversations (albeit repeated many times over: “Mama, can you play with me? Can you play with me, Mama? Mama, Mummy, Mum, can you play with me? Can you play with me at home Mum? Can we play Mummy?”), to understand instructions, to be able to help out a bit with little things and enjoy it – like going to get a face washer, or helping change the baby’s nappy. It’s easy to feel inadequate though when reading blogs and seeing amazing craft activities and so on that some amazing parents are doing with their kids. When it takes half an hour to set up an activity for five minutes worth of concentration, it is pretty hard to conjure up the motivation! I try to have a few special things for her to do while I’m breastfeeding. Often she’ll just climb up next to me and pretend to breastfeed one of her teddies or dolls. This afternoon she crammed herself up as close as she could get to me while I was feeding, saying, “I’m just giving you some space Mummy.” Thanks for that! Other than trying to get as close to me as she possibly can, she has a sticker book, special crayons and textas, marbles and a few other things that come out of the hat at baby snack time. What do you do at home with your little kids? Getting foggy headed (more than usual). *photos by Mardi Sommerfeld. More on that later. The other day I mentioned we were having a spot of the old hissy fit around here. Yes, I have been known to throw a few. But right now the toddler is learning to put her foot down. 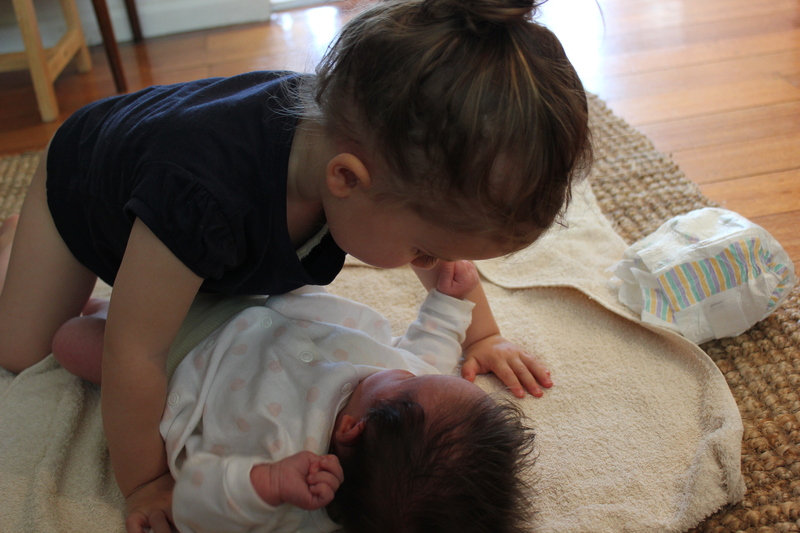 I always heard about the ‘terrible twos’ but my little darling was such an angel I never thought it would happen to me. She still is an angel most of the time, but certain [odd] things all of a sudden have my easy going girl getting her knickers in a knot in a split second. We are having similar situations arise on many an occasion, like when I am asked where we are, and the answer “we are at home.” just doesn’t cut it. But just look at this face. Do you believe me? 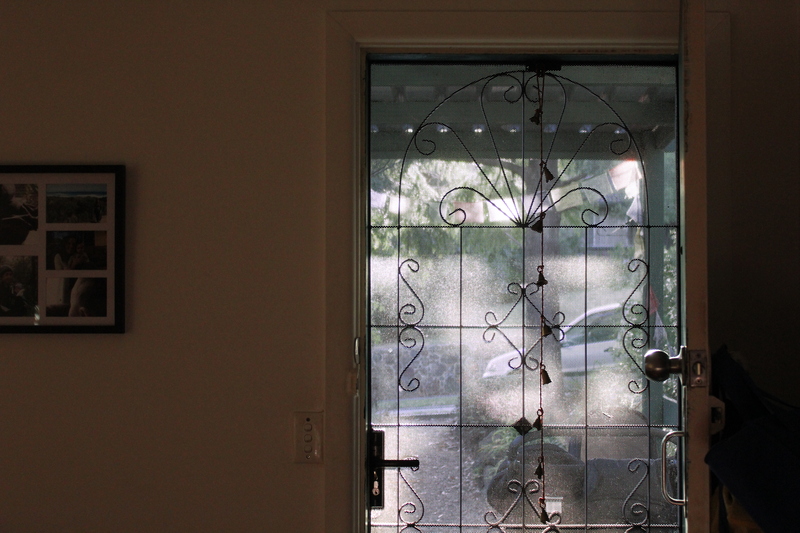 A while ago I wrote about a few little changes we were making around the house. Now being 36 weeks pregnant, I am desperate to move things, pick things up, throw things out and scrub everything in sight, but instead I am sitting here reading blogs and complaining internally about sore hips, heavy belly, tight feet and the like. And so, inspired by Veggie Mama‘s latest post, decorating a toddler’s room on a budget, I decided to share more about the things in N’s room and where they came from. It got me thinking about how much money we had actually spent decorating and furnishing her bedroom. When I thought about it and ticked off the things in there, I realised we have probably spent about $50… literally. Sorry kid. But your room really does look great! I think, anyway. I have friends who have gone all out ‘designing’ their child’s room. If I had the money I’m sure I’d be all over it, but we don’t and I have an unfortunate (or incredibly FORTUNATE, depends how you look at it) love of the thrift, thrill of the find, the op shop, the treasure, and hence we have managed to collect a lot of great stuff along the way. I also love the photos that Jodi posts of her house and her kids’ rooms. You should check those out too, beautiful. 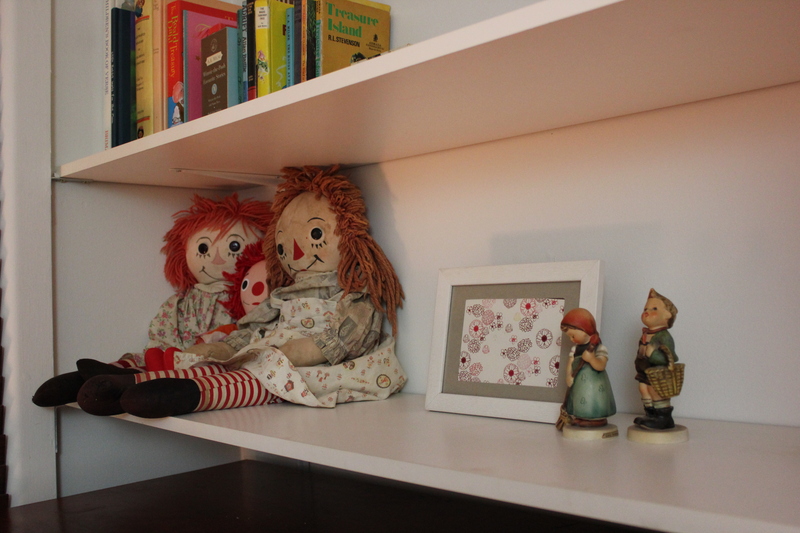 My mum, aunty and sister’s raggedy ann dolls from when they were kids; a card I liked that I cut out and put in a white frame – this was on our bookshelf in another room; my Nana’s little porcelain boy and girl. 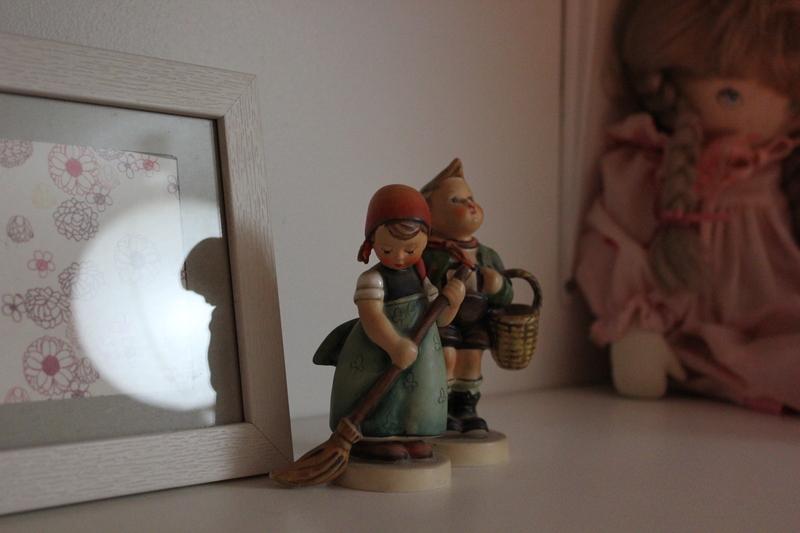 In the background – my Nana’s favourite doll which used to sit on her bed. 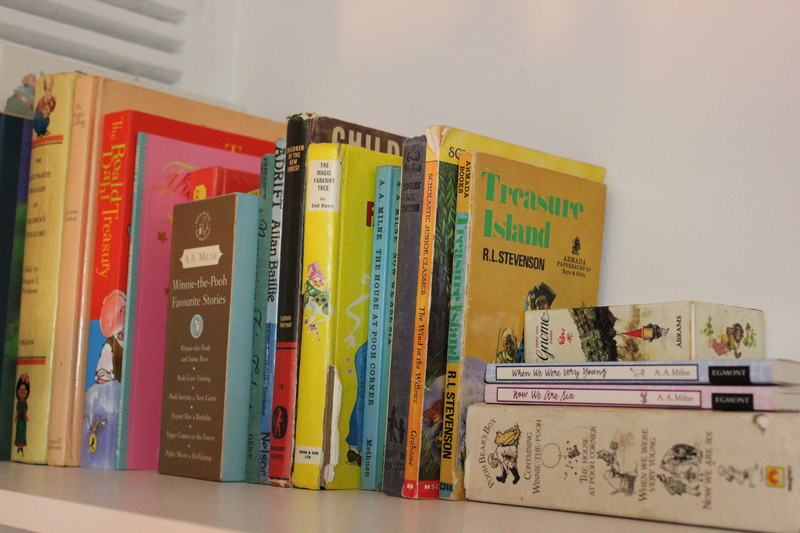 A mixture of hand-me-down, vintage, collected and other books given to us as gifts. Most of these though were mine from when I was a kid. Little white chest of drawers from hard rubbish (yep, score!! ); white lamp my mum was throwing out, heart shaped wooden bowl from the op shop (I think this was 50c); salt lamp I actually paid for and bought new, I think it is the most expensive thing in the room at around $30. 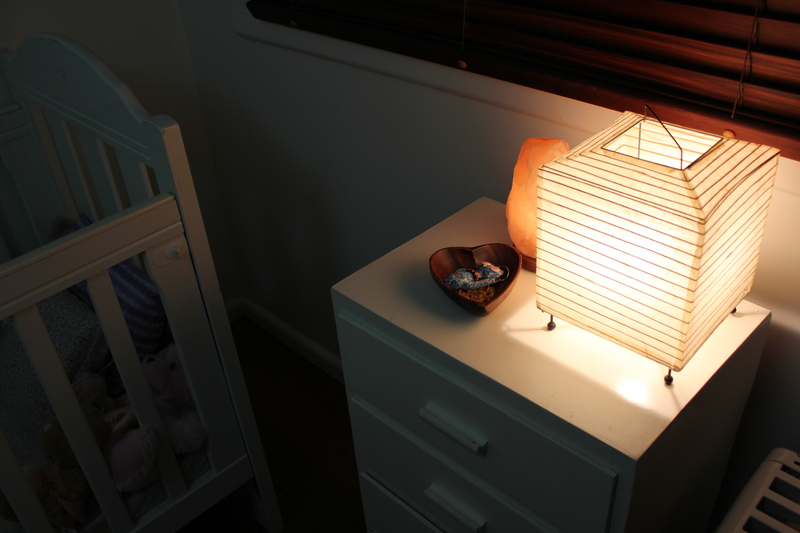 We use the salt lamp as a night light, got the idea from a friend and it is fab! 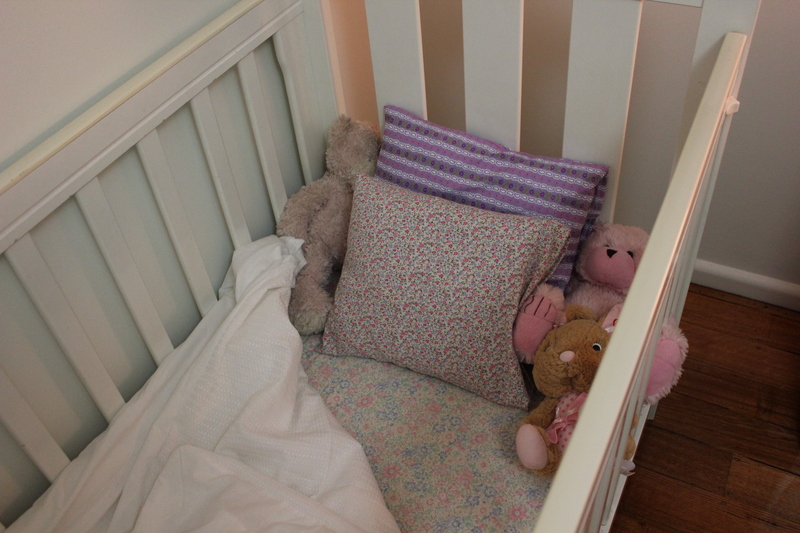 Hand-me-down cot we were given from a friend, I made all the sheets and bedding with vintage and secondhand sheets I had in my stash; toys were all presents. Silver letters my sister was getting rid of (helps when you can share things amongst family). 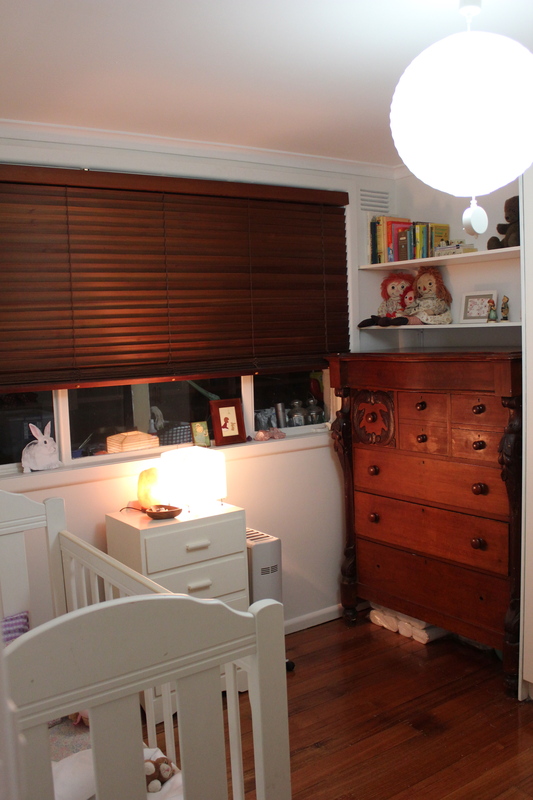 Paper light shade from the local $2 shop which I already had before N was born; wooden chest of drawers my sister was getting rid of; along the window – cardboard bunny from my aunty, little vintage angel picture from a friend, another card I liked which I stuck in an old frame. I wanted to get something for the wall above the cot, scoured etsy for ages looking at wall stickers and so on (could not believe the prices!!) and opted to make my own bunting flags with vintage sheets I had in my fabric stash. Will add a photo of those when I can. You don’t need to spend a lot to make a room cosy and workable. You just need to have the eye for treasure! 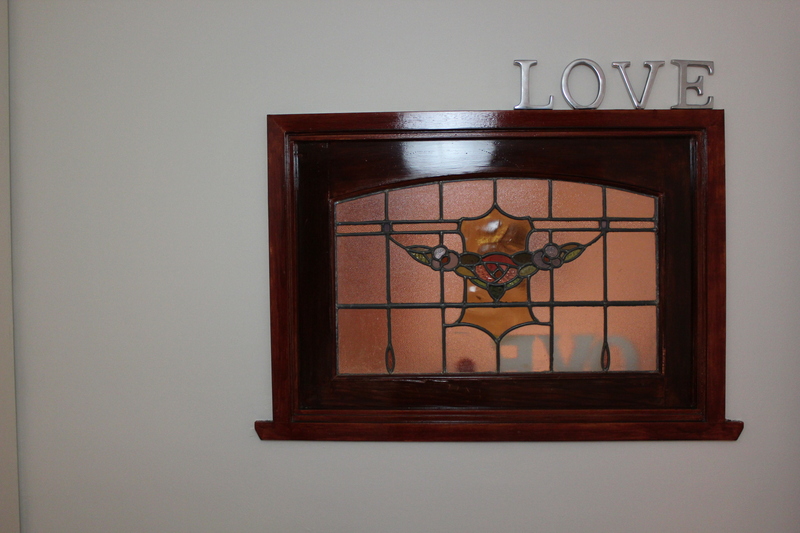 We have recently done our bedroom too, will make sure I post on that another time.